Ville De Fleurs - Winner of Natural Beauty Awards 2013. Skin care for men and women and eco soya candles, handmade the old-fashioned way with a modern twist in a picturesque village called Charing, Kent. As much as possible is sourced from local growers, manufacturers and craftspeople. The founder Tatiana's obsession with flowers is due to her beloved grandmother who tended many beautiful flowers and herbs in her garden in a tiny Ukranian village and taught her natural remedies. As she grew, so did her interest in natural skincare. She has always been a great believer in the power of scent to transform mood and productivity, and followed a natural progression into learning about the creation of fragranced products. 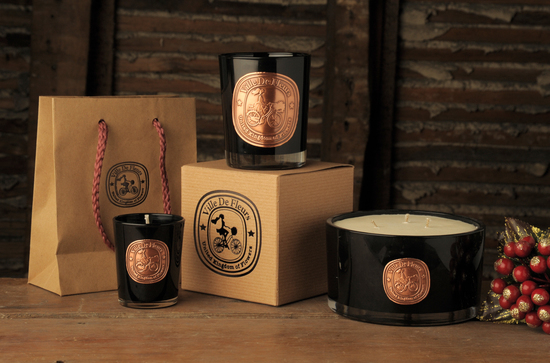 Ville de Fleurs candles are a personal memory library of scents taken from her world travels, whether that be fig and cassis from a balmy Mediterranean break or quintessential lavender from the fields of England. Tatiana's background in fashion means she has a keen eye for aesthetics and loves to dress up the products in the same way that she used to dress up her clients, with a little bit of poetry, a little bit of artistry.